Google today announced that it has partnered with Sony Pictures Imageworks, Sony’s visual effects and animation studio, to launch OpenCue, an open-source render manager. 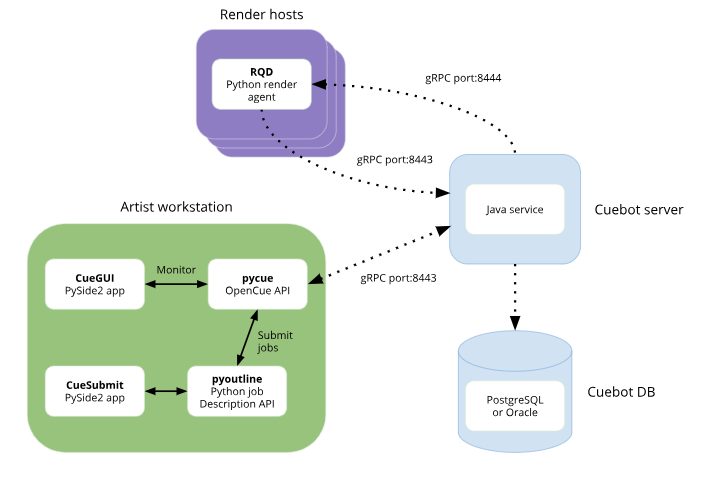 OpenCue doesn’t handle any of the actual rendering processes, but it provides all the tools to break down those different steps and then schedule and manage the different rendering jobs across large rendering farms, both local and in the cloud. Google, of course, is interested in bringing these workloads to its cloud and it has made a concerted effort to bring the Hollywood studios to its Cloud Platform. That includes the launch of its Los Angeles cloud region last year, as well as its acquisition of the Zync cloud renderer back in 2014. Google was also a founding member of the Academy Software Foundation, an open-source foundation that focuses specifically on tools for the film industry. Sony Pictures Entertainment/Imageworks wasn’t a founding member but joined a few months after the foundation got off the ground. Cue 3 was actually Imageworks’ internal queuing system, which is at least 15 years old. Google worked with the company to open-source the system, which Google and Imageworks have scaled to up to 150,000 cores. It’s worth noting that this isn’t Sony’s first foray into open-source. The company previously also open-sourced and contributed to tools like OpenColorIO and Alembic.